Do you understand the tax consequences of the business decisions and transactions your company is making in the global marketplace? Organizations that operate internationally can face many difficult tax compliance issues related to both U.S. and non-U.S. tax regulations. As Naples International Tax CPAs, we understand how complex it can be to acquire, maintain and expand business operations abroad. 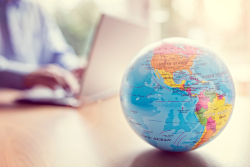 We have extensive experience with both day-to-day international tax issues and longer terms strategies to help your organization minimize taxes. Our knowledgeable tax professionals can aid U.S. residents and foreign nationals in the preparation and reporting of individual, corporate, and trust foreign transactions, compliance needs, and tax planning. Well advise and guide your foreign business with U.S. subsidiaries or U.S. organizations doing business overseas. We'll help you optimize your global tax rate, maximize your opportunities for tax savings, and give you the confidence to make sound business decisions. We work with U.S. and foreign businesses around the world including: India, China, the Middle East, Afghanistan, Iraq, Canada, Mexico, the U.S. and more. Contact Wilfredo Ramos today at 239-261-8337 about how our International Taxation services can help your business save more on U.S. and foreign taxes.